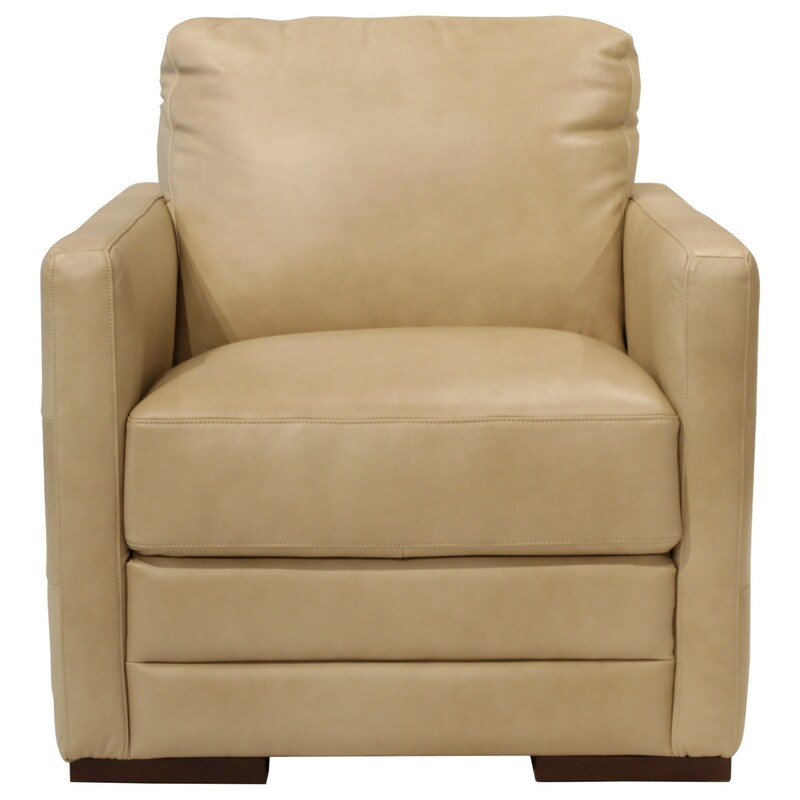 Offering a clean, simple design, this contemporary chair will make a great addition for your home. Track arms, a boxed seat cushion and short block feet create the sophisticated modern look of this piece while the plush cushions provide comfort that you will undoubtedly enjoy. The Monica Chair by Futura Leather at HomeWorld Furniture in the Hawaii, Oahu, Hilo, Kona, Maui area. Product availability may vary. Contact us for the most current availability on this product. Simple in design with contemporary details, this collection will bring an inviting contemporary look into your home. Contributing to their defined silhouettes, each piece in this collection features narrow track arms and short block feet. This group offers all of your standard living room seating options as well as a sofa sleeper option allowing you to easily transform your entertaining space into the perfect guest room for friends and family. The Monica collection is a great option if you are looking for Contemporary furniture in the Hawaii, Oahu, Hilo, Kona, Maui area. Browse other items in the Monica collection from HomeWorld Furniture in the Hawaii, Oahu, Hilo, Kona, Maui area.